So Many Languages, So Little Time "Where Am I From?" I am mostly Irish, lots of Welsh, some Dutch, some Cherokee, maybe some other ethnicities. Somewhat Texan, very international, Quite Human! I have worked in radio, TV and film as producer, writer, trainer, newswriter or administrator before and during my years in Africa. I have written, edited and published in several academic areas. I am a linguist, musician and computer specialist, and have served as a media technician and sound producer. My wife Edith and I went to Nairobi, Kenya, after we had been married one year and worked there over a 27-year period. We worked in Cyprus for over three years, and in Richmond, Virginia, for four years, working with other world ethnic researchers in a project on peoples of the world. Near the end of 2005, we relocated to South Africa, where I was as a research analyst working on ethnicities of the world. We have traveled in many countries of the world. I have had learning experience to some level in over 50 languages of the world, most intensively in Africa, specializing in Bantu historical linguistics. Though born in Chickasha, Oklahoma, I grew up in Quanah, Texas, where I learned Spanish and French. I continued studying languages through high school and college, while studying to be an engineer. I studied Latin, German and more Spanish before leaving college. It was this interest in languages that originally led me to Africa. Music has been part of my life since childhood. My father owned a radio station and I grew up in the business. I worked on the air with my own show from age 9. 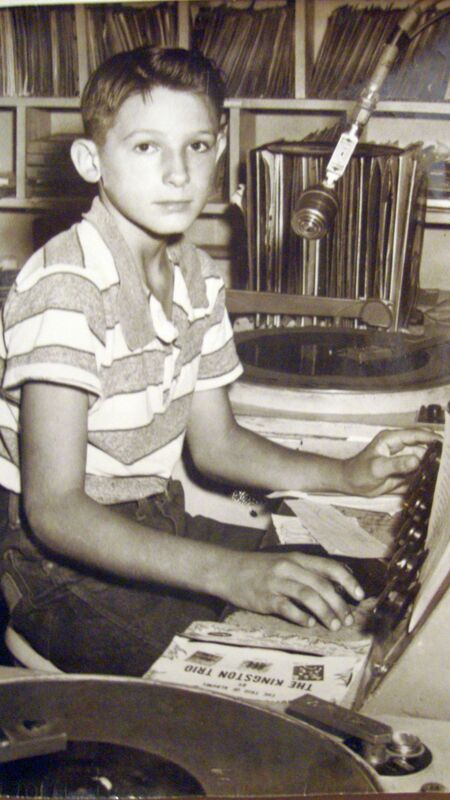 At age 11 I was featured in Billboard and Record World magazines as the youngest disk jockey in the world. For a few years I also worked for my father in a laundry, learning all kinds of things about equipment and people! I also got started in the cattle business with a calf project in 4H, which grew into a joint ranching project with my father. In later years this was an important source of funds to pay part of my university education. Over the years in Quanah, we raised a garden that kept us busy much of the year. So a wonderful conflux of many different influences came together to enable me to learn about farming, nutrition, health and many aspects of business besides the radio business. My first car was a 53 Mercury Monterey I bought from my father. At the time, I was too young to drive it by myself, so I got around most of the time on a Cushman Eagle motor scooter, delivering papers, selling greeting cards and such and handling my shift at the radio station. (Actually for along time, I was too young to drive the scooter too, but it was a small town in West Texas.) I had that car for several years and learned a lot working on it. My faith in Jesus Christ has always been a reference point and foundation for my life, and all my decisions, no matter how small. I enjoy the freedom of being at peace with God, the Centre of the Universe, and confident in his goodness and work for good in my life. I see my whole life as a calling, which started in childhood. I learned the business and operations side of broadcasting, as well as the production and technical side of media and music from childhood. I paid my way through university and part of graduate school as an announcer-producer, then worked for an initial two years in Kenya as a producer, writer and trainer. I finished high school in Conway, Arkansas, where my dad and I worked a small cattle farm and ran an electronics repair shop. We also had a family quartet with my two brothers, who also were members of a folk-rock band I formed while in College in the same town. I have written several dozen songs in various styles and play the guitar and saxophone. At one time I taught a guitar class, and have taught in the music training program of a school in Kenya. Edith and I met the first week at college, where I noticed her in an informal music session. And God took it from there for a wonderful safari full of rich and rewarding surprises. At times we've sung together, and she was a member of the first music group I organized, called The Folk. Later I organized a folk-rock band, The New Light, and produced an album for the band in 1970. I have been actively involved in music all my life and regularly play saxophone or guitar, and sometimes sing my original compositions, in churches or with various bands. Since our younger brother died in a car wreck at age 19, my brother Greg and I still sing and play together when we can. Much of our lives, we have lived thousands of miles apart. Greg is also a music producer and sound technician, as well as the music minister of his church. He has by far the best singing voice of us three brothers. In the past he was for many years a Spanish teacher in high school and university. Greg also had his own piano tuning business for many years. Greg is too self-conscious to realize how cool he really is! We both have always had a driving urge to excel and felt confident trying new things. I worked as a disk jockey and producer for two radio stations in Conway during college years, which were 4.5 years due to my intense range of interests and many jobs. During college I also worked a couple of years loading freight, built school buses one summer, and spent some months not selling encyclopedias! I was a choir director and was involved in various other music interests at that time, also. Wow, were the days longer then? For one semester in graduate school in North Carolina, I worked at two radio stations at the same time. This was great fun, though with full time studies, I got little sleep! The Lewisburg station played Country in the morning and Rock and Roll in the afternoon. The one in Henderson put me on the Top 40 weekend shift. Wow! What a whirl! I worked for several years in radio-TV-Film work in Kenya. I have continued to be involved in various media activities, including periodic evaluation and training activities. In 1971, I helped form Afromedia, a Christian film and TV agency. I served on production staff and as Executive Director for some years, and was a member of the board until about 1997. One of my productions, in 1993, was the audio tape of the first Christian hymnal in the Somali language. I produced several series in English, Swahili and Kikuyu for radio and TV, and did on-air work in English and Swahili. In Nairobi, Kenya, I co-led with a jazz band called Some Guys, and in 1994 produced our 60-minute jazz album including 5 of my original compositions. From about 2003-2005, while living in Richmond, Virginia, I played sax with a blues group called the Silverback Blues Burners, as well as two worship bands. After several years on staff, I also served on two occasions as Board member for Baptist media agencies in Kenya, most recently 1991-93) a two-year term in which we reorganized and redesigned the print and electronic agencies into the new Kenya Baptist Media. My graduate studies over the years have included Christian Communications, theology, linguistics and cross-cultural communication For many years I designed community-based, culture-centred language learning programs in many countries of Africa. My two earned doctorates are from US Universities, and I have done linguistic and anthropological field work in languages in several parts of the world. I have a French-language certificate in Commerce from the Sorbonne (University of Paris). Over the years I have also been in many French-language situations in several countries, for both work and pleasure. I still love French very much. As part of my own personal evaluation and self-discipline for progress, at one stage in my early work in Kenya, I earned a diploma in Swahili from the British Tutorial Institute. I grew up in Texas around Spanish and have maintained that. My early experiences around Spanish language and culture was no doubt an important factor and impetus in my life-long interest in other cultures and desire to learn other languages. I have enjoyed being back in Texas the last few years where I can have Spanish radio on in the car, and have numerous Spanish TV channels to flavor my television surfing. I remember when I was in Rome on my trip to Kenya for the first time, before I had learned Italian, I negotiated my way around using Spanish with my Roman taxi driver. What fun for everybody. I have often thought one of the best contributions we can make when visiting in another culture is the free entertainment we provide! My second trip to Italy was better a couple of years later when I could use the national language with some facility. I had a great time in Florence and northern Italy. It gave me lots of real practicum, since I had to serve as translator of language and culture for my wife Edith. From 1977 to 1991 I was Director of Baptist Language Centre, a training centre for cross-cultural communication in the Swahili language. This involved developing a behavioral curriculum and individualized learning programs for adult learners of language and culture. I trained several African teachers in language and culture learning theory and methods. I have written or translated several works between Swahili and English. I taught in five summer sessions at the Toronto Institute of Linguistics and in other language and cultural orientation programs. I have conducted several one-time staff development sessions for language teachers at several schools and spoken to classes in universities and high schools in Africa and the United States. I have served as a visiting professor in 2 colleges in Kenya, teaching courses on World Religions and Communications. I have authored two booklets on Islam. Additionally, I lectured as a visiting professor in three additional universities in Nairobi, in fields of Islam and Cross-Cultural Communications. For 4 years, I served as founding Director of the Interfaith Research Centre (IRC), launched in March 1994. This was a research networking agency in Eastern and Southern Africa. Concerns were cultural research, Islam, Christian-Muslim relations and cross-cultural training. In connection with IRC I served as a strategy consultant for several international agencies working in Africa. I served two years (1995-97) on the Board of Governors of Rosslyn Academy (a North-American curriculum K-12 school) in Nairobi, Kenya, chairing the Long Range Planning Committee and leading in the establishment of multi-media and Internet facilities and course approaches for students and staff continuing education. I served three years on the board of Mombasa Baptist High School, a Kenya curriculum school. I have conducted sessions in cultural worldview research and language learning techniques for various agencies. From 2001 to 2010, I served as the founding Editor of the Registry of Peoples (ROP), a database of all peoples of the world with a unique code for each. The ROP provides a unique code for each of the ethnolinguistic peoples of the world, as a mechanism for various ethnic databases to compare and exchange information about peoples of the world. This code enables any database on peoples of the world to compare and correlate, as well as exchange, data with any other database using those codes, without having to merge the databases. I continue to serve as a research and cultural communication consultant. I have been involved with computers since 1984. I have provided technical assistance, hardware maintenance and software training and evaluation over the years. I led in establishing a computer user group in Nairobi in 1996, and led the club for several years. I dabbled in Linux a bit, but didn't really get very deep into it. I am creating and managing web sites. In earlier years my wife Edith and I taught courses on WordStar, the premiere word processor for many years and one of the first Desktop Publishing programs for Windows. For several years I published several newsletter, journals or training materials with Ventura Publisher and other software publishing packages. For several years, I published a monthly computing newsletter, writing tutorials and other articles, and coordinated community tech support, and at times organizing programs and teaching in various computing courses. For about six years I was a contributing editor for the East African Computer Magazine and have published various computer articles in other publications. I have taught and published materials on Islam, world religions and cultures, language learning, media communication, cultural worldview investigation, cross-cultural communication and computing. This included guest professor positions at several universities, and visiting speaker at many. I serve as guest speaker for various conferences. Check out my interests in the following web sites I manage.